WASHINGTON—A new Pew Research poll published Thursday revealed that 100 percent of Americans blame the United States federal government shutdown entirely on Scott Tipton (R-CO). “From the Rust Belt to the Sun Belt, across all income brackets and racial demographics, every single respondent surveyed came to the same conclusion that Colorado congressman Scott Tipton was solely at fault for this shutdown,” said lead researcher Michelle Sanger, who explained that the 24-hour news coverage broadcasting Tipton’s failure to negotiate and compromise likely contributed to the U.S. populace’s negative perceptions of the representative from Colorado’s third district. “As far as the American people are concerned, Tipton and Tipton alone owns this shutdown. And the more he continues to foist blame on others, the deeper the animus against him will grow. 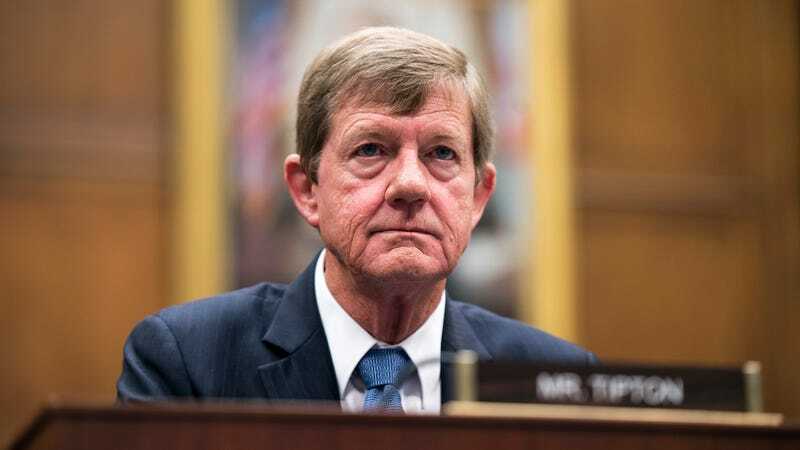 This will go down in the history books as the Tipton shutdown.” At press time, researchers said that the poll indicated a clear directive to representative Tipton to finally rise to the occasion, as only he alone can put an end the budget impasse.